Morocco is well-known for extreme races. The marathon des sables - known as the 'toughest footrace on earth' is a grueling 156 miles (five and a half marathons) through the Sahara Desert in 100°F or more. The Trans-Atlas Marathon is a trail of approximately 177 miles in 6 stages at an elevation of up to 11,000 ft. But did you know that there are also vehicle rallies competing across some of Morocco's most challenging terrain? The Rallye Aïcha des Gazelles is a women-only endurance rally across a course which is all off-road and redesigned every year. 2015 marks the 25th anniversary of the Rally. This year, it will bring together 185 teams of around 300 women aged 18-35 from 30 different countries. There are 10 teams competing from the USA alone. Their common denominator is determination and a commitment to the principles of the race, which are a respect for values of tolerance, solidarity and determination; for the host country and its people through the charitable activities associated with the race and for the environment. 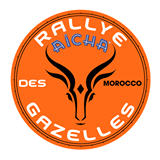 (The Rallye Aïcha des Gazelles in Morocco is the only motor rally globally with the ISO 14001 certification). The teams compete in 4x4, Crossover, Quad or truck vehicles or on motorbike. Auto company Daimler Benz Mercedes is competing with 4 teams - selected through competitions held in Germany. Each team may choose its own route - the team that drives the shortest distance wins. This means that the so-called Gazelles must reach pre-defined check points by driving the lowest number of kilometers. Eco-driving is encouraged and rewarded. This means making choices between fording rivers or finding bridges or driving around mountains or over them. Completion of the course takes skill and grit - as well as a compass, a navigational plotter and maps! The average day of competition is 10-13 hours long. For the 25th edition, a new category of 'expert' has been introduced for previous competitors looking to compete in a car. Their terrain will be tougher, sandier and the route even more rugged! Since 2001, during the period of the race, the associated Cœur de Gazelles charity provides on average, 5000 medical consultations and around 7000 people receive donations of clothes, medicine or other needs. The Rally runs from 25 March - 2 April 2015. As the entire route is off-road, it is not always easy to view the competition, although in remote areas you may glimpse the helicopters which monitor the race and ensure safety. The Gazelles gather for a well-deserved rest and the prize-giving in Essaouira at the end of the race. On 2 and 3 April, you can expect to see them arriving - exhausted and exhilarated- in the seaside town before the final event and prize presentation on 4 April. Registration has just closed for 2015, so if you like the idea of being a Gazelle, you have another year to prepare (and raise the sponsorship)! If that sounds a little too taxing for your vacation in Morocco, head to Essaouira at the start of April to toast their arrival at the end of the rally!